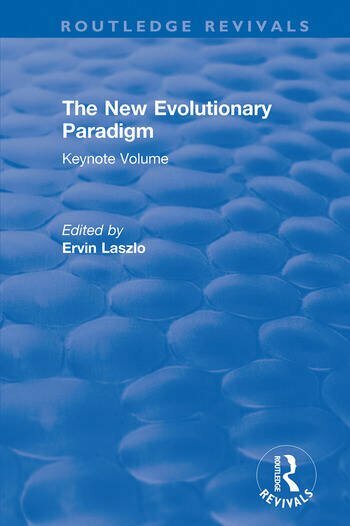 Originally published in 1991, The New Evolutionary Paradigm provides an innovative and cross disciplinary look at evolution. While Darwin’s theory of evolution was originally restricted to the life sciences, in recent years the same principles have been applied successfully to historical, social and natural sciences. The papers included in The New Evolutionary Paradigm analyse the facts, observations, and accumulated data from the significance of a general evolution theory cannot be overemphasised; a new understanding of the cosmos and man’s relationship to it could lead to the systemization of the irreversible change that takes place in society and nature. This book will appeal to scientists, sociologists and those interested in transdisciplinary evolution theories.